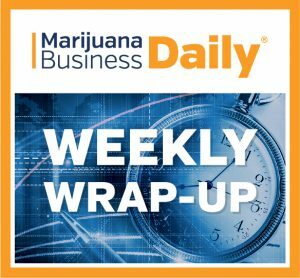 California reveals the licensing rules for its marijuana industry, Maryland’s medical cannabis appears ready to launch, and U.S. Attorney General Jeff Sessions indicates the DOJ has no plans to suppress the marijuana industry. The next set of emergency regulations for California’s licensed cannabis industry is out, and it’s a monster. The package – from three different state agencies – totals 274 pages and, taken together, looks to contain some of the most intricate MJ business rules yet established by any U.S. regulatory authority. “I’ve gone through pretty much every state that’s gone through this, and I would say this is, by far, one of the most balanced set of initial regulations I’ve seen,” said Avis Bulbulyan, the CEO of Los Angeles-based Siva Enterprises. Bulbulyan, who also serves on a state Cannabis Advisory Committee, emphasized that the rules are not completely finalized, and as of Thursday night, he hadn’t even had time to read them all. “This is just the beginning,” Bulbulyan said. “This, keep in mind, was the emergency rulemaking procedure because they had to keep up with the Jan. 1 deadline” for when the regulated medical and recreational marijuana market officially launches. There have already been substantial changes from draft regulations released earlier this year that will offer a range of ways into the cannabis trade for entrepreneurs, Bulbulyan noted. For instance, there are now subcategories of different license types, meaning more opportunity for companies that want to specialize in niches such as shipping or packaging. Another big development, which may prove consequential for larger growers or businesses that want to get into mass commercial production, is what appears to be a one-license cap per company for 22,000 square feet of canopy, he said. Larger cultivation operations may be able to get around that by acquiring multiple permits for 10,000 square feet of canopy, Bulbulyan said. But that would add expenses, which could even the playing field for smaller cultivators by keeping their overhead lower than that of bigger competitors. The same may prove true with a new sliding scale for permitting fees. “Depending on how much you make, you’re going to pay different licensing fees, and that’s going to help out the smaller guys tremendously that can’t afford bigger license fees,” Bulbulyan said. With six dispensaries licensed to sell and Maryland’s first crop ready to hit store shelves, medical marijuana sales in the state look to be imminent. State regulators initially estimated that sales would begin in January 2018, but dispensaries will likely be moving cannabis before then, said one industry insider. “There will be product in the dispensaries (before the end of the year),” said Debby Miran, a former Maryland MMJ commissioner and now a cannabis consultant. It’s been more than four years since the state began its MMJ program, and Miran was a commission member when the program was conceived. So she’s understandably “full of anticipation” to see Maryland’s market take off. Miran blames the slow rollout on an unsupportive governor, a limited budget, minimal staff participation and volunteer commissioners. Reflecting on the process now, she said, one of the Maryland program’s biggest failings was a lack of deadlines in the original rules. “It took us two years to get regulations out,” Miran said. “It should have been one (year). The state also never anticipated 1,100 business license applications, she said. A search is on for a new executive director for its MMJ commission after the prior director, Patrick Jameson, announced his retirement, effective Nov. 30. The commission meets Monday and is expected to vote to fully license more dispensaries. More than 600 medical professionals – including physicians – have signed up for the program and 14,000-plus patients have registered. That should be enough to get the market rolling. The product supply will be tight, Miran said. “There’s a limited amount that’s ready now,” she added. Sessions sides with … Obama? Fearing and loathing Attorney General Jeff Sessions – and speculating about any potential moves he may make on marijuana – have become the most popular parlor game in the marijuana industry. But the Republican gave the marijuana industry reason to relax a bit this week. Testifying before Congress, Sessions was asked for the umpteenth time about marijuana and what his Department of Justice plans to do about it. “Our policy is the same really, fundamentally, as the (Obama) policy, which is that the federal law remains in effect and a state can legalize marijuana for its law enforcement purposes,” Sessions said. You read that right. The same as the Obama policy. Obama often gets the credit (or blame) for marijuana legalization, but it’s important to remember that the former president didn’t back legalization. Instead, his DOJ simply said in the 2013 Cole Memo that federal drug authorities didn’t plan to interfere with states’ marijuana legalization experiments as long as they made an effort to follow certain requirements. It’s a nuance worth keeping in mind for the Trump administration. As longtime White House correspondent Kenneth T. Walsh of U.S. News & World Report told industry professionals at MJBizCon this week, the public favors legalization, and presidents seldom devote political energy to fighting something the voters support. “It’s not high up on his priority list. I don’t think it will be, unless his constituency base openly demands it,” Walsh noted. As a strong TRUMP supporter, my concern with AG Sessions is that he has been so weak on the right of State’s to take charge that he has made it difficult for standard business practices to function. I.E. proper banking procedures. It is time to understand that like prohibition, the cabanas business will continue, either controlled by the states or by criminals as it was for so many years.